Canned Heat’s twenty-ninth album, 1995’s “Live at Turku Rock Festival 1971” (Friday Music) was another gem released from the vaults of drummer Fito de la Parra, the only surviving member of Canned Heat who continues the band until this day. This is a good album from the peak of the band’s popularity and creativity and features many a great hit: “Long Way from L.A.,” “Let’s Work Together,” “Hill’s Stomp,” and “Canned Heat Boogie.” This is one we highly recommend and urge you to buy as it’s a great piece of music! Please be sure to use the handy link and go to Amazon.com and buy it NOW! Thanks, the Elemental News of the Day. Here's the countdown to December 21, 2012: from today, we have 539 days to go until the End of Days, the End of Time, Armageddon, and the End of the Mayan Calendar! Everybody, beware! Bakersfield, CA, 07-02-2011 S: This is my first installment of the “Famous Restaurant Recipes” series and I am oh, so glad to be here, amigos! I have a wonderful dish for you today, one that is going to excite your taste buds and ignite your imagination! I have a fantastic halibut dish that is covered with a creamy Dungeness crab and artichoke mixture that is both tasty and flavorful and one that I highly recommend. Halibut is a lovely fish, especially when you can find it fresh and having lived and worked in Alaska, Washington, and Oregon over the course of my long career, I have enjoyed the best the frigid waters of the Pacific Ocean have to offer! 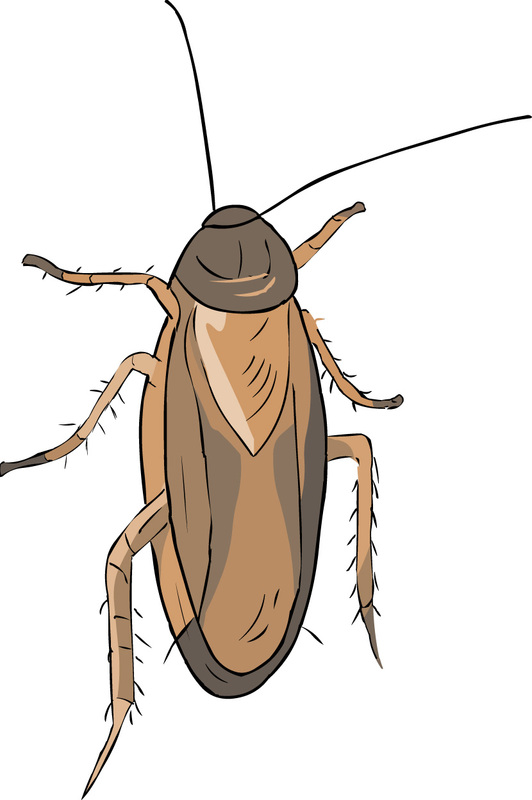 As you know, Stinkbug always urges us to share our best recipes with our readership and that is precisely what we try to do. We realize that there are many alternatives to our minor little blog but we’ve got centuries of experience to back up our expertise and food knowledge. We’ve all been involved in professional foodservice from what seems like the beginning of time and that, my friends, takes us all the way back to the late 1950’s-early 1960’s. 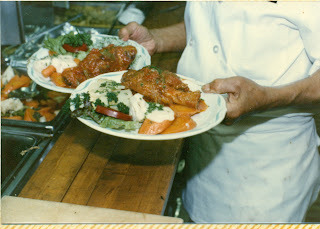 I, myself, have more than five decades of culinary experience and am still active in the business today albeit I have moved over to the business and supply end of the industry by having become a purveyor. Being in the supply-side of the business has given me new insights in what are available to the modern cook, how much it costs, where to find it, and how to use it. I use that knowledge for your benefit by sharing with you every little tidbit of knowledge I can. Let us get this show on the road, shall we? 1. Combine all ingredients together in the bowl of an electric mixer and mix together well. Store in an airtight, DRY container. This is a wonderful multi-purpose seasoning that can be used with most foods. Canned artichoke hearts, drained and chilled below 45°F. 2. Have first SIX ingredients ready. 3. Beat cream cheese on mixer with paddle attachment until light and fluffy; remove from mixer and set aside. 4. Combine the mayonnaise with the next FIVE ingredients listed; put half of this mixture in the bottom of the mixing bowl. Top with half of the cheese and then, all of the cream cheese, vegetables, crab, and artichoke hearts. Place remaining parmesan cheese and mayonnaise on top. Mix now on LOW speed until combined but don’t overmix it and turn it into mush. 5. Remove the mixture and place it in a container and refrigerate for several hours. There, it will thicken up and flavor will develop. At this point, it will be ready to use. 6. As an appetizer, spoon 2-ounces into a shell dish and place inside a 450°F standard oven or a 400°F convection oven for 8-10 minutes or until it is lightly browned and bubbly. Enjoy with toasted foccacia bread dipped in extra virgin olive oil and a glass of wine of choice. This recipe also does wonders for fish like halibut and cod as a baked-on oven-topping. 1. Season halibut fletches with the Gaucho seasoning, and then place in a baking dish. Top each with crab dip, parmesan cheese, pimientos, and parsley. Add wine and lemon juice to the pan. 2. Bake at 450°F standard oven for 6-8 minutes OR until golden-brown and cooked through. Fish should never be cooked 100% but should be allowed to finish outside the oven in the hot baking dish. Internal temperature should be 120°F. 3. Serve on your nicest plates and accompany with either rice pilaf or scalloped potatoes and fresh vegetables. Then, enjoy! This is a wonderful dish that is a delight whenever you can find FRESH halibut. Cod is a good substitute but nothing beats halibut. Anyhow, be creative and enjoy! That’s it for this time. Thanks for reading our recipes and enjoy! We will be back tomorrow as always. Have a great day and thanks for supporting the Elemental News of the Day. Without your help, we couldn’t do it. Thank you! Please remember to avoid doing business with AARC Technology in Bakersfield, CA. These people don’t care about the small customer anymore but instead put all of their attentions onto their corporate customers. It’s sad to not remember why one has the success they do or from where it came. Anyhow, have a great day and we’ll meet again. Take care. This is a shot of me taken when I was a young cook back in the early 1960's. 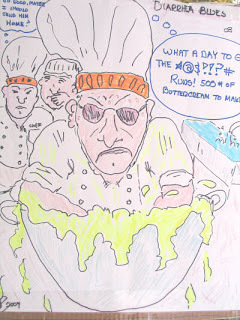 I served underneath a Master Chef for many years before striking out on my own. I went up the coast of the Western United States and Canada, working all the way until I made it to Alaska. Then, I returned to Washington State and it was there that I met Stinkbug. Please note that everyone who writes for the Elemental News of the Day is their own person entitled to their own opinions, attitudes, and insanity so does not necessarily speak for all of us. 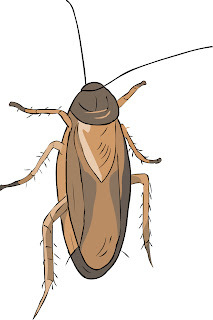 Thanks, Stinkbug. This original essay was authored by the one-and-only Chef Santanamos “El Chilote” De Soto. 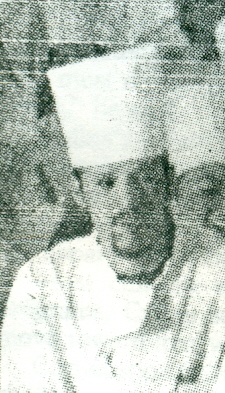 Recipes created by Chef Santanamos “El Chilote” De Soto and Chef Stinkbug. “Stinky” of the Elemental News of the Day for the best of the news, politics, sports, foodservice, hotel and restaurant business, the end times, the end of days, the apocalypse, armageddon, and whatever else happens to pop up! This is #1299, a 12” x 16" original oil painting by Beverly Carrick entitled, “Canyon Rapids." It's among her more beautiful works and is available for sale. You can see much more of her work at her Website, located at http://www.beverlycarrick.com or at Brian Carrick's Facebook page. 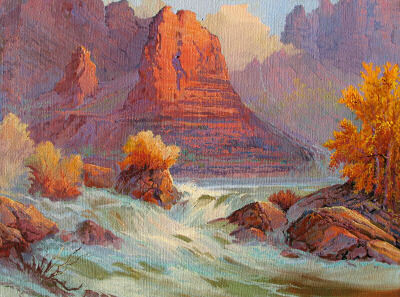 At her Website, you will see not only more original oil paintings but also lithographs, giclees, prints, miniatures, photographs, and even her award-winning instructional video entitled, "Painting the Southwest with Beverly Carrick." Beverly has been painting for more than 60 years and is known around the world. Her work hangs in private and public galleries and is followed by a great many fans that circle the globe. We urge you to go to her Website NOW and view her work. It's possible that you will find something you like and will want to buy it for yourself, a friend, a loved one, or a neighbor! You will not be disappointed so please: do yourself a favor and go there IMMEDIATELY! Thank you, the Elemental News of the Day! 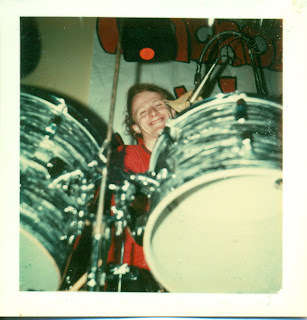 This is a shot of Brian Carrick behind his Rodgers' Drum Kit on 09-15-1976 in Bakersfield, CA, performing with the Magnolia Hilltop Brewers. This is another shot of Brian Carrick on 09-17-1976 at Foothill High School in Bakersfield, CA. This is a shot of Randall Kyles, lead guitarist and vocalist with the MHB unloading the truck on 12-19-1976 after arriving home from a gig. this was always the worst part of any gig night: putting it all away. 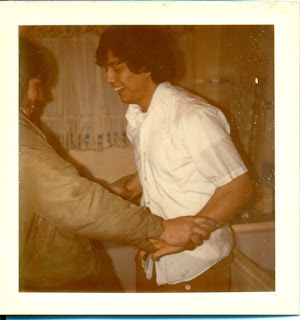 This is a shot of Randall Kyles and bassist/vocalist Victor Gaona engaged in some messing around on 12-15-1975 after a six-hour rehearsal. 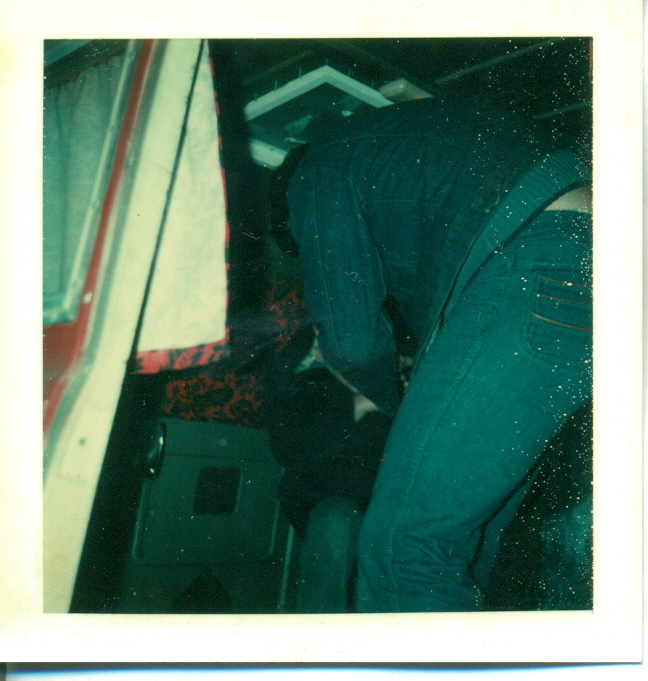 When we got drunk, we became somewhat wild. Our wives and girlfriends used to get upset at us. This is a shot of bassist/vocalist Victor Gaona on 10-22-1976 at a MHB rehearsal on the mike. 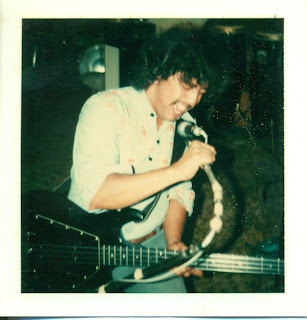 Vic was always the frontman for the band and did much of the vocals. 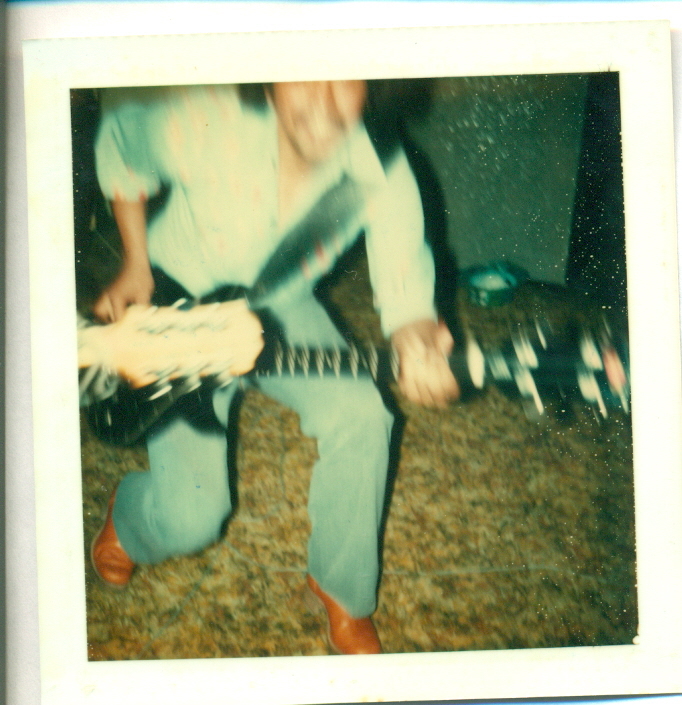 This is another shot of Victor Gaona on 10-22-1976. He was quite the singer. 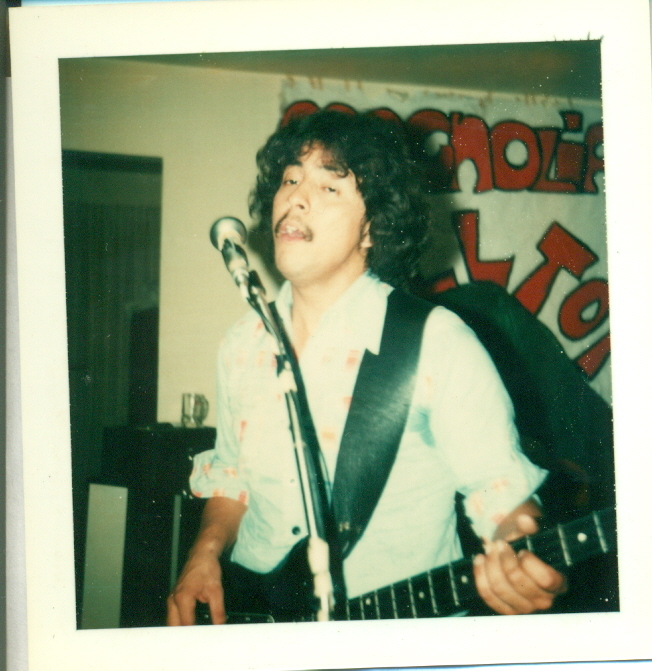 This is another shot of Victor Gaona on 10-22-1976 at the MHB Rehearsal at Shamrock in Bakersfield, CA. 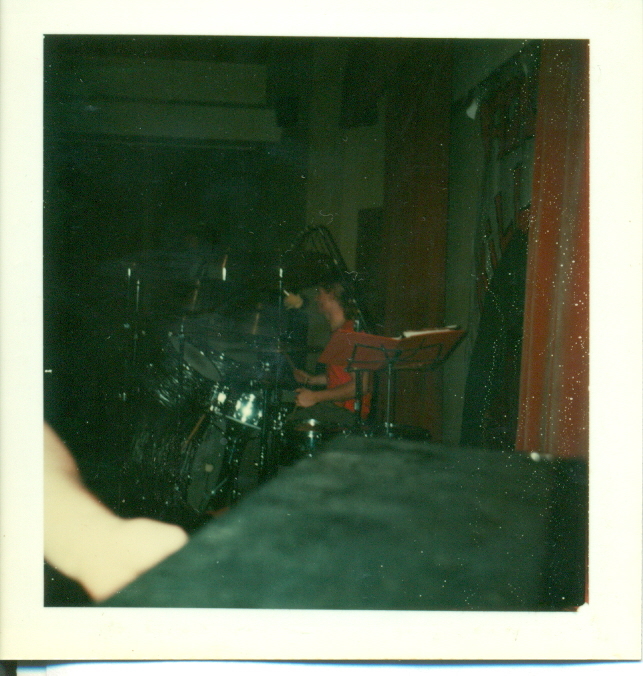 This was Brian Carrick's home and the band's base of operations. This is a shot of Lamb Shanks ala Beatrice being dished up at the Stockdale Country Club in 1984. The chef putting them up is Chef Joe Pesigan. Magnolia Hilltop Brewers and What's Cookin' Productions Trademark of Quality and Symbol of Integrity. Copyright 07-02-2011, all rights reserved. No unauthorized reproductions of any of this material are permissible unless granted by written permission. Thank you, the Elemental News of the Day. Trademark of Quality c/o the Elemental News of the Day and Magnolia Hilltop Brewers Productions 2011 of Bakersfield, California, the United States of America.